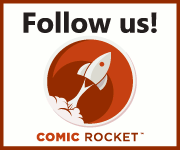 RECKSTAR » We Got Reviewed – Deconstructing Comics likes RECKSTAR! We Got Reviewed – Deconstructing Comics likes RECKSTAR! Hosts Tim and Mulele tackled Reckstar as part of their Critiquing Comics feature over at DeconstructingComics.com! Thanks, fellas! This was the best kind of surprise to wake up to on Thanksgiving morning.